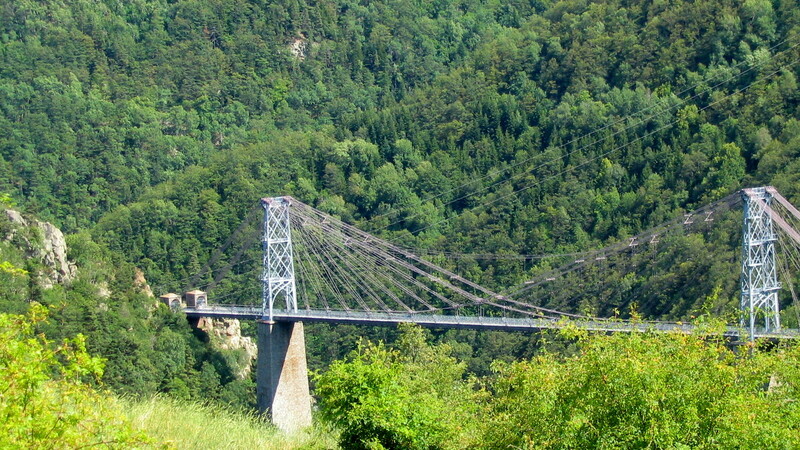 It is the only SNCF French railways suspended bridge still in use A few days before the inauguration date a terrible accident took place, on October 31, 1909 during the tests in load of the bridge. This accident made 9 wounded and 6 dead of which its originator: Albert Gisclard. An human error caused the accident: a workman purged the brakes before the departure causing a whistle which was taken for the signal of the departure (too much early) of the train heavily charged for the tests.